Handmade in Kansas City members X37 Adventures share a new location to purchase, donate and create in Kansas City. The West Bottoms have always been the go-to destination for antiques, vintage, and one of a kind items and now it can be your go-to place for craft and art supplies. 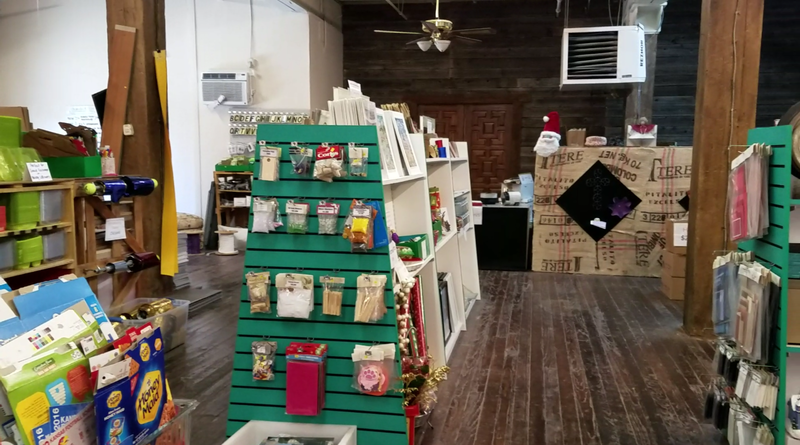 Scraps KC is a newly opened store on W. 12th street in the West Bottoms that seeks to inspire creativity in art and education, positively impact the environment and provide hope for the homeless through creative reuse, redistribution and renewal. 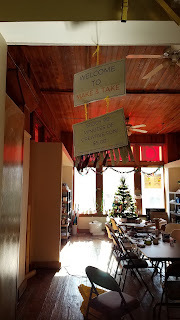 Not only will you find supplies and ideas neatly organized in Scraps KC, all of the supplies are donated and repurposed. I can tell you from personal experience that this in no ordinary place; we at X37 found so many good supplies and ideas. But the best part about Scraps KC? The fact that it gives back to the community! Not only with dedication to reducing the amount of material in landfills but also helping the homeless get work experience and finding a job. Scraps KC 's has a retail store is filled with a multitude of creative, colorful, and useful industrial, household, and educational materials that would normally end up in the landfill. 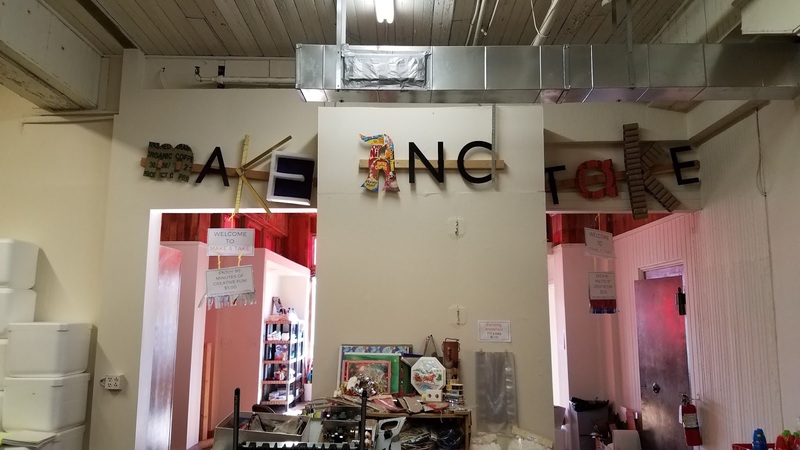 Businesses, manufacturers, schools and community members donate items that would be useful to artists, teachers, makers, churches, scouts, DIYers, and other creative people, instead of discarding the items into the trash. 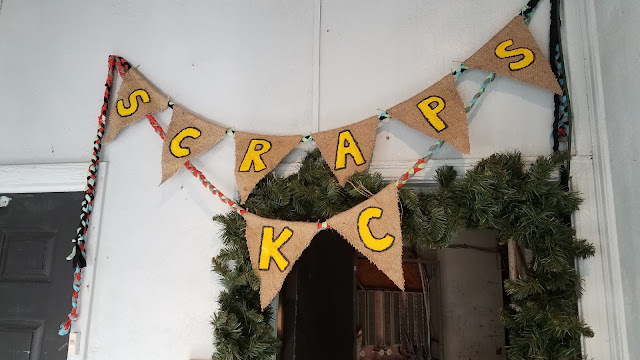 Scraps KC diverted over 12 tons of materials from the landfill by the time they launched the operation in September, 2016. The newest donation to Scraps KC was 4000 pounds of tile that would have gone into a landfill. "Providing hope for the homeless"
Their homeless volunteers get a homemade meal and a warm place to be and a place that brings them dignity and a community to support them. Not only do they allow scraps to be as amazing as it is, but they are a vital part of the Adopt-A-Class program. This program gathers supplies that are donated to Scraps KC and then sends them out to schools that might not otherwise get them, all organized and lovingly packaged. This passion to giving back to the community in need is THE thing about Scraps KC; it's why it has captured by heart and my business and its why I want to share it with you. There is heart and soul in every inch of Scraps KC and it shines from Brenda the woman behind it all! When you visit Scraps KC be sure to talk with Brenda, and you will have made a new friend. She will talk about anything, but if you need help with an idea or project she will help you out. Love Crafting, but don't have a space or tools for it? Then Brenda has you covered on that as well, with the SCRAPS KC: Make and Take Space. For $5, you can use the tools and supplies at M&T to create whatever you want. Got a scout troop? Take them to Scraps KC! Want to have a maker get-together? Then call Brenda! Let's spread the word and show Scraps KC some Kansas City maker community LOVE by popping over to Facebook and liking their page! While you are there go like the Handmade in KC page as well! and check out the other blog posts on the website!